Lynda K. Johnson & Mark Giles have over 50 years of combined experience, including over 3,000+ auctions of estate assets, consignments, business liquidations, classic automobiles and real estate transactions. These quality traits of the JAS team effectively ensures your goods are converted into top-dollar sales. The goal of the JAS auctioneers is to arrive at an accurate value and then attain or exceed that value by attracting and maximizing bidding competitiveness among appropriate buyers. Johnson Auction Services (JAS) holds weekly, live, on-site auctions at our Moon Township Gallery facility where approximately 800 lots are sold. 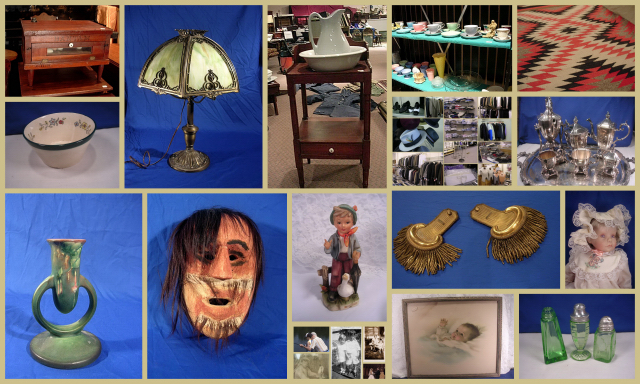 These auctions may include, but are not limited to: antiques, modern furniture, business assets, motorcycles, vehicles, collectibles, depression glass, art deco items, musical instruments, coins, stamps, and household effects. Auctions are normally held on Tuesdays. Doors open at 4:30 p.m. Household items, tools, or the "specialty of the evening" (perhaps coins, stamps, paper memorabilia, sport cards, etc.) start each event at 5 p.m. with a few tables of small items being auctioned before progressing to furniture at approximately 7 p.m. Auctions normally end by 11 p.m. Absentee bids are accepted prior to and during each auction. Off-site auctions are conducted at clients' homes during the spring and summer months and are normally held on weekends. Additionally, on specified Sundays, an Antiques-Only or Specialty Auction is held 10 - 12 times per year. Subscribe to our mailing list and receive up-to-date prior notification of future auctions. Johnson Auction Service provides experience and expertise to maximize your returns. JAS's experienced, highly trained, and full-time staff will oversee all aspects of your auction from conception to completion. Employees are fully covered by Workers' Compensation and are licensed and bonded by the State of Pennsylvania. We are proud of our professionalism and are dedicated to providing a superior auction organization, one that reflects a reputation of honesty and integrity and is backed by unequaled service and expertise in our field. We will work with you to determine the best way to present your items to the marketplace. Identifying the most efficient market to sell your items. 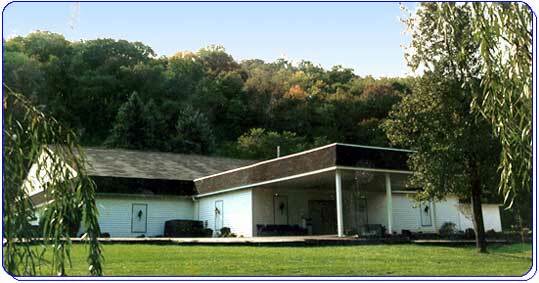 We are experienced in hosting estate sales, gallery auctions and online auctions. JAS has assisted area businesses with complete liquidations, as well as inventory downsizing. Our experience includes music stores, restaurants, tool facilities, clothing stores, audio visual stores, a grocery store, heavy equipment, storage facilities, assorted retail busineses, lighting, camera, motorcycles, furniture store, auto dealers. Auctions provide a unique public-forum method of bringing buyers and sellers together in an arena of competition--an arena designed to convert your assets to cash. Sellers wish to receive maximum dollars for their goods; buyers, in turn, want to pay the lowest price necessary to obtain those goods. In most instances, prices are set not by the seller, but by the bidders; it is the auctioneer's job to bring all parties together for a successful sale completion. Names of the owner or the estate do not have to be disclosed to the bidding audience. JAS is also an online/internet auctioneer, expanding the reach for potential buyers to the global reach of the internet. For a percentage of gross sale, Estate Tag Sales, where items are priced and advertised, are also handled by JAS at a client's home or business. Items that did not "move" may be packed/transported for a later off-site auction. We also offer "outright purchase" of your goods. Sellers should keep in mind that, generally, buyers are drawn to auctions for the choice pieces and purchase other items while in attendance. With this in mind, it may be detrimental to sell a few select items separately leaving you without a "drawing card" for your less-valuable items. JAS also accepts consignments from individuals looking to sell items in the auction marketplace. To learn more our consignment agreements, please call us. For some of our clients, we purchase items directly. If you have items you are interested in selling, please give us a call. We are often looking for items to match with defined interests of our buying audience. Don't know where to begin cleaning out a life-long accumulation? We can assist you with this task. JAS can put sentimentality aside and quickly assess treasures from trash in an expedient manner. Many clients tell us that just a few key items saved from the trash paid for our services. Our staff is conscious of the family needs and gives attention to specific requests before determining trash from treasure.